Anti-bandit laminated safety glass and UV bonding technology create a safe and robust display space for museum display cases. 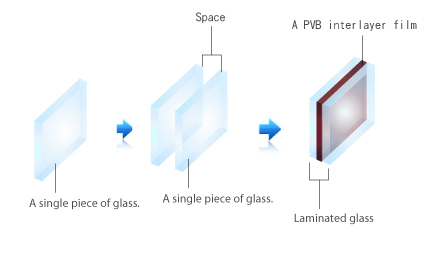 Customized museum grade glass with high-intensity PVB film laminated as interlayer between glass panes creates a high security level equivalent to being anti-bullet.In the event of intended heavy hit,PVB film interlayers will not be penetrated through and still hold the glass fragments in place to prevent glass break from scattering so it can effectively resist most physical attack to block possible damage to exhibited museum objects and possible hurt to museum staff and visitors.The museum grade glass needs to meet the most critical glass security criteria EN356 P4A at least. 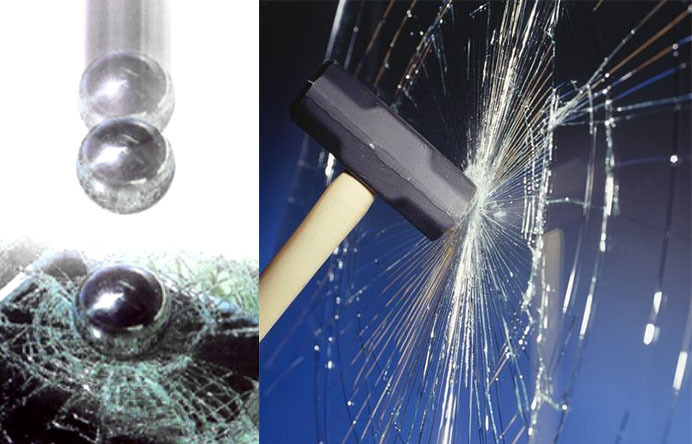 The ball drop test and axe hammer attack test is an effective way to verify the glass whether meet the standard of museum grade glass or not.The steel ball drop impact test-a 4.11kg solid steel ball to be dropped from 9 meters height onto laminated glass in a triangle for 3 times but no penetration through the galss,as well as the impact falling ball test- an axe hammer attack by a 2 kg head on a 900 mm long handle). 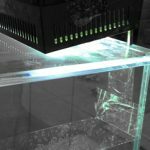 2.With no mullion or frame, frame-less UV bonding is a process to bond glass panels together with clear and neutral UV adhesive then with the boning cured by dedicated UV curing light or UV activator.The exposure of UV light (ray spectrum 315-400nm) brings a flexible and stress-absorbing bonding which is stronger than glass itself for enough load bearing and totally free from mechanical fixings. For natural light outside museum display cases and light from integrated lighting system within museum display cases,whether ultraviolet radiation with wavelengths shorter than 400nm or infrared radiation with wavelength longer than 760mm is invisible by eyes but it brings terrible damage to exhibits in additional to accumulating considerable heat.The PVB film interlayer for museum grade glass is able to effectively filter more than 97% ultraviolet radiation and infrared radiation as well as to prevent heat accumulation. 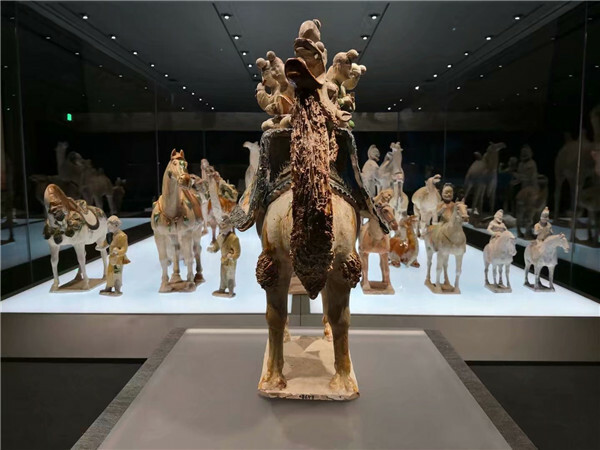 1.Due to low iron content, light transmittance for customized museum grade ultra-clear/optiwhite glass is over 97%.Ultra-clear/Optiwhite glass with low iron content virtually eliminates the green hue inherent in ordinary standard glass. 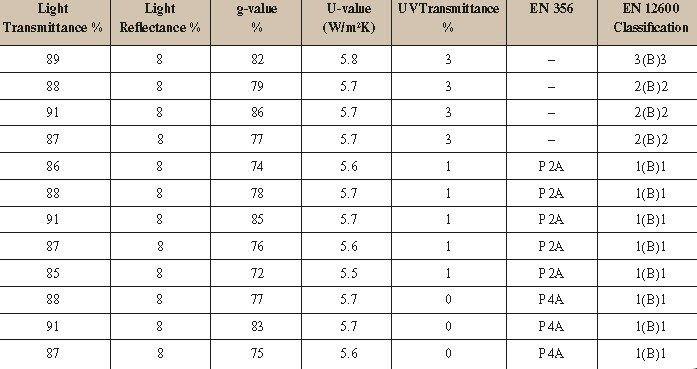 2.For bespoke non-reflectivity glass, the reflectivity from visible light between 400nm and 760nm is less than 1%. 3.Frame-less all-glass display space within museum display cases. 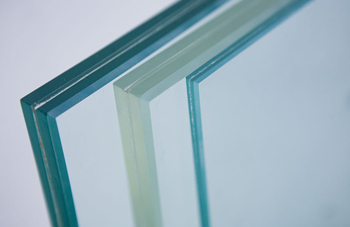 With no mullion or frame, frame-less UV bonding is a process to bond glass panels together with clear and neutral UV adhesive then with the boning cured by dedicated UV curing light or UV activator.Such a glass bonding technology creates a full vision with no sight obstacle.The special advantage of this technology is easy and clean,invisible bonding joints,high stability and security,elegant edges and precise angularity.